She took the boy with the fizzing brain to the fair, pulled him through the gate and up the stairs, where he wails into the faces of glaring children. The mother, who loves him and some days wishes him dead, forces him into his seat. She walks back into the crowd with a tundra smile nine years in the freezing. The man running the ride – sensing something, sensing nothing – pulls a lever on a tin box. 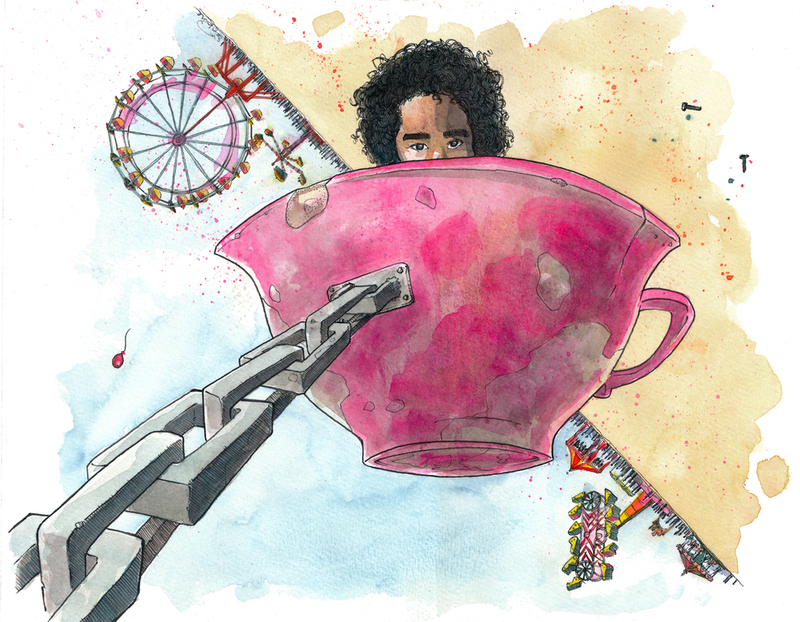 The music shifts and clamours, the giant teacups turn, whirling their sherbet colours. And the boy – riding alone in his yellow cup, the crowd waiting for the motor to cut, for him to be taken down – the boy tips his head back and laughs at the way, for once, the world spins its dizzy path to him.